Sorry, this item is currently closed. Deerfield Parent Network (DPN) is an organization providing an open forum for parents to share ideas and learn new ones. 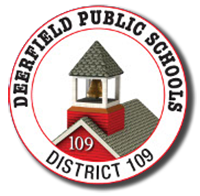 DPN offers single-issue programming for District 109 and District 113. GREETINGS SHEPARD MIDDLE SCHOOL FAMILIES AND STAFF! We’re looking forward to another great school year & are busy preparing for our August 20th start. *WHY JOIN SHEPARD PTSO: Join to help support your child’s school experience and enhance life at Shepard. The SHEPARD PTSO relies on membership fee donation in order to provide programing, sponsor events, and purchase educational items for our school that would otherwise not happen without the PTSO. We do NOT have an annual fundraising event and membership dues are a main source of fundraising. Help us reach our goal of 100 percent family participation/membership! What does the PTSO Fund: Last year, thanks to our membership support, the SHEPARD PTSO was fortunate to have the funds to purchase many things that benefited all the students, including: Furniture for the Special Eduation rooms, track and field uniforms, portable PA system, digital scales in science labs, Career Fair, Cardboard Challenge, Drone and support for STEM lab, & much more. Shepard special lunch is managed by Robin Bear and Lunch Solutions. Our favorite vendors will be returning in addition to several new ones. The registration instructions (attached) and link is available on the PTSO website and lunch website. Please check out our website at www.shepardptso.org for a calendar of upcoming events, descriptions of programs & events, volunteer opportunities as well as FAQ’s. Have a good day and enjoy the rest of your summer. Access the Shepard PTSO website at www.shepardptso.org. For returning families, click “ login here” under prior email address and password or click “forgot password”. * Verify your account information on your Dashboard. Go to My Profile to add a second parent or update account information already entered. If you are new to Shepard PTSO, click on “Create New Account” on the right side of the home page. Complete your information and create/confirm password. Go to My Info—My Profile to add a parent or update any information, including cell phone. To Purchase PTSO Membership, go to red bar at top of page and select For Sale menu. Add PTSO Membership and click Add To Shopping Cart. Complete your purchase by using Visa, MasterCard or Discover or check. Purchase other PTSO items, go to red bar at top of page and select For Sale menu from the title bar, scroll down to PTSO ONLINE E-STORE and then select items for sale. Choose your items and click Add to Shopping Cart. To Purchase event items available for purchase without membership (non-member rate), select For Sale on red bar, and select “Non-Member Purchases”. After you join the PTSO you will receive an email containing your Registration Key and instructions to download the Paperless PTO app so you can access the directory from your mobile device. NOTE TO NEW FAMILIES: If you already have the Paperless PTO application on your mobile device, simply tap on Settings and then Account Setup to enter the new Registration Key. Shepard will then be added to your current list of schools. Copyright © 2008-2019 Shepard PTSO All rights reserved.